Composite beam have long been recognized as the most economical elements for floor systems built of a concrete slab and supporting steel sections. But general composite beam are limited to height of story and performance for construction work in the apartment building. 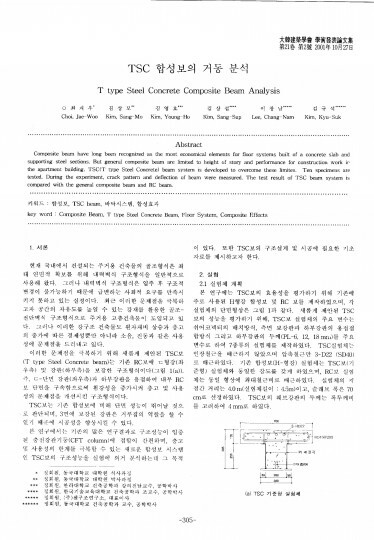 TSC(T type Steel Concrete) beam system is developed to overcome these limites. Ten specimens are tested. During the experiment， crack pattem and deflection of beam were measured. 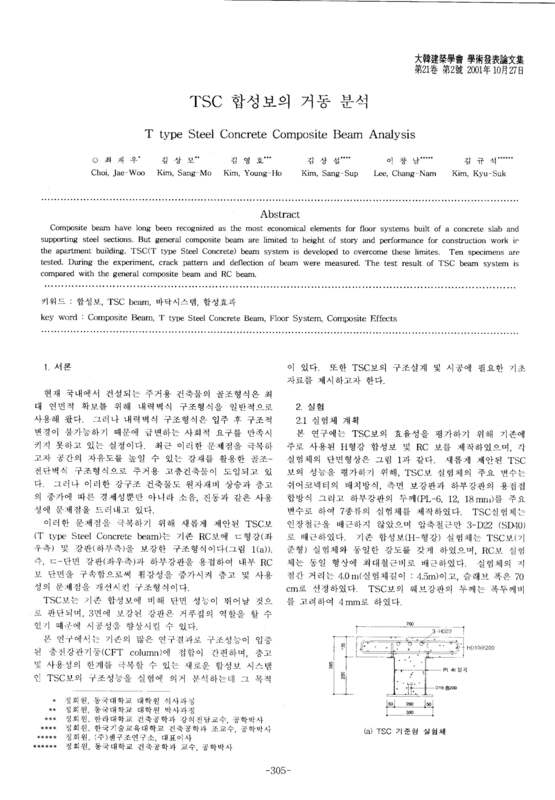 The test result of TSC beam system is compared with the general composite beam and RC beam.